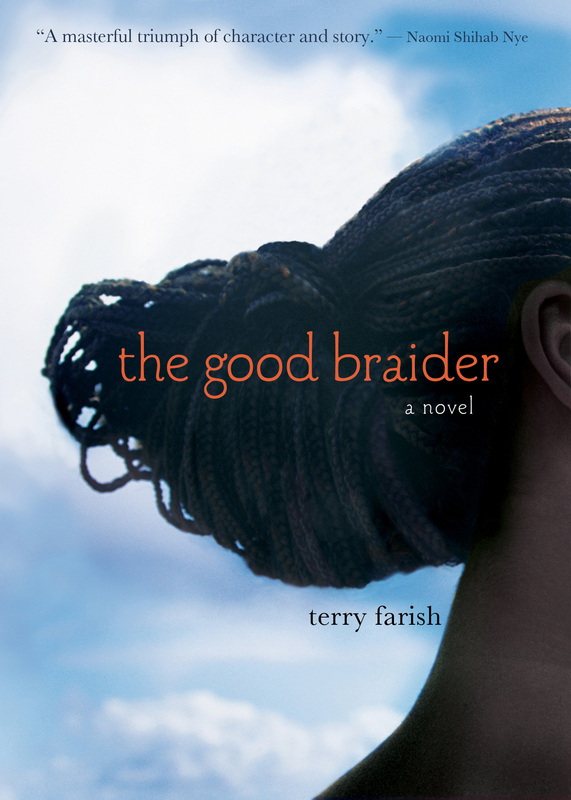 While I was researching The Good Braider, I met many teens and elders, but I met a lot of children, too. They were experiencing lives brand new to them in American cities. 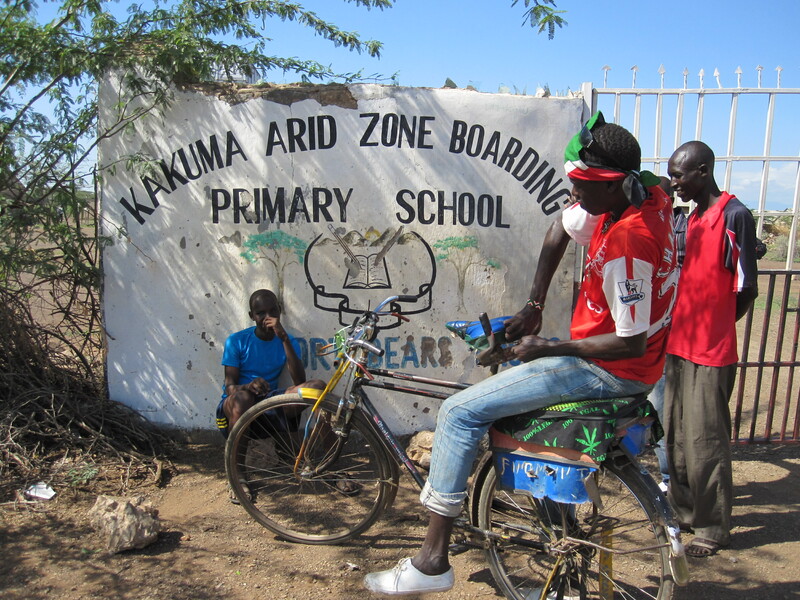 Then, when I was visiting Kakuma refugee camp on the Kenyan/South Sudanese border, I saw a boy on a bicycle. 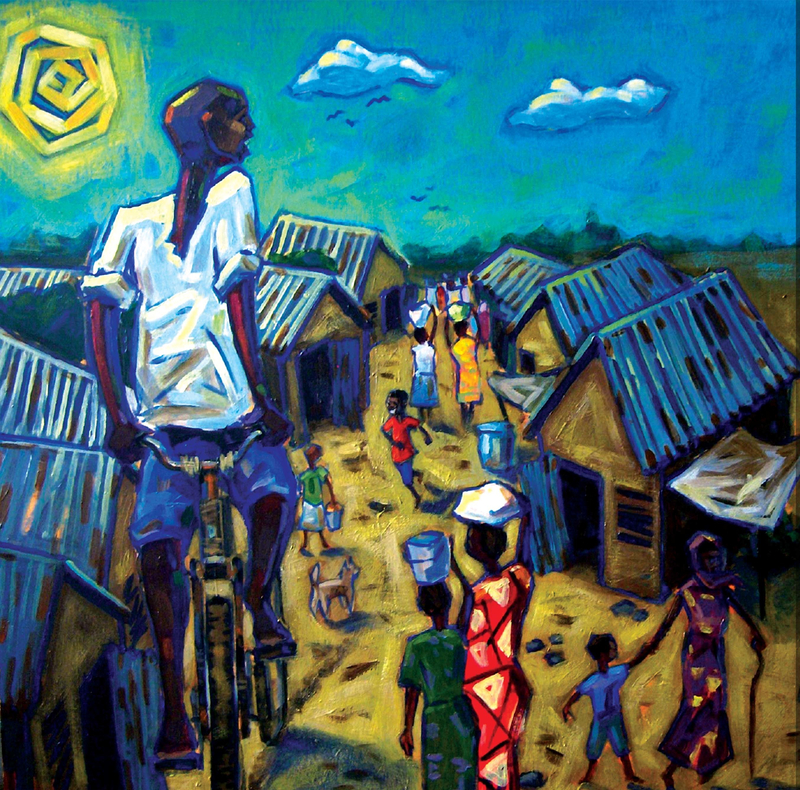 I began to imagine a South Sudanese boy new to the U.S. who wants nothing so much as to ride a bike the way an older boy does in the refugee camp where he used to live. In 2016 Annick Press will publish this story in a book called Joseph’s Big Ride. Ken Daley is in the process of creating illustrations to tell the story. The illustration here is Ken’s stunning first finished painting for the book. Boy with a taxi bike in Kakuma, Kenya. The second image is a photo I took in Kakuma where I volunteered at this school. Here a boy is riding a bike used for a taxi, like the older boy might have done in my story. I’m eager to read this one — both for the Sudan and the bike connections. I’m excited to offer a story that is pure joy. A boy wants to ride a bike. The bike he wants to ride belongs to a girl who happens to be Dominican-American. It’s about the bike, but they each get a friend in the deal.